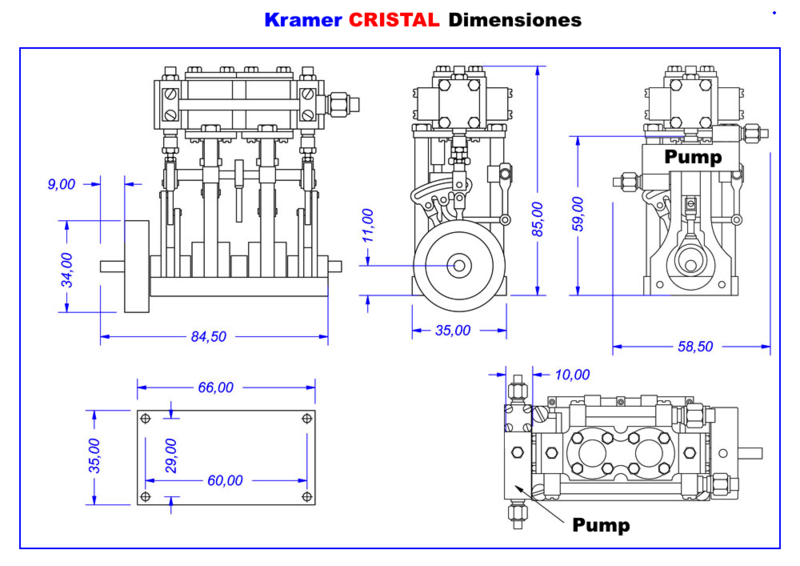 CRISTAL is available with a bore of either 10mm or 12mm, depending on the power you require. 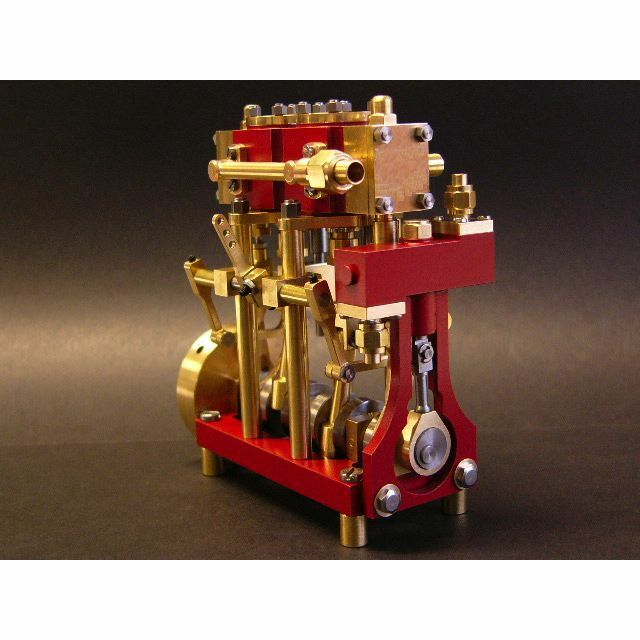 You also have a choice between a „ready to run“ finished engine or a completely machined kit for self assembly, no soldering required. 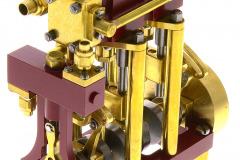 This model requires two servos, one to control the steam-valve (speed) and one to control the reversing-gear (Type “Stephenson”). 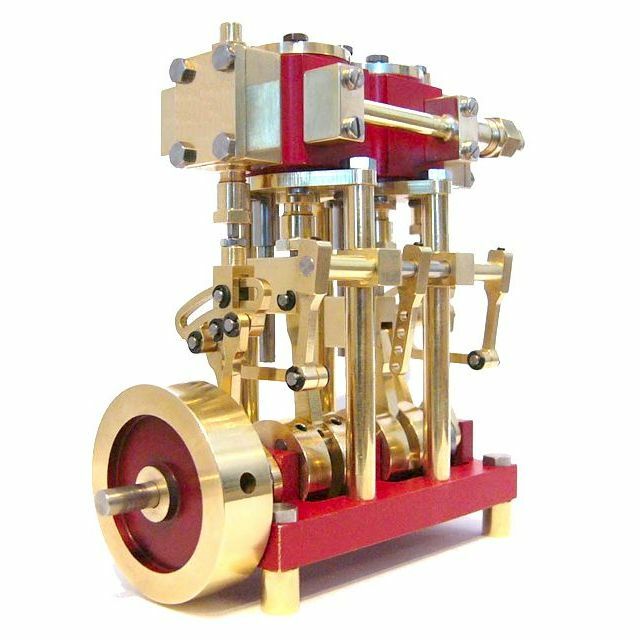 When designing this engine we aimed for a solid, durable engine, allowing for easy assembly but we also taking great care to recreate the classic elegance of the old steam engines. 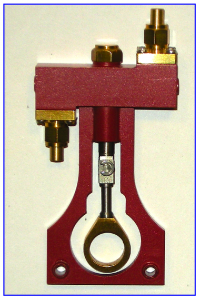 For an example, the cross head guides are of an cylindrical rod type as often used in locomotives. 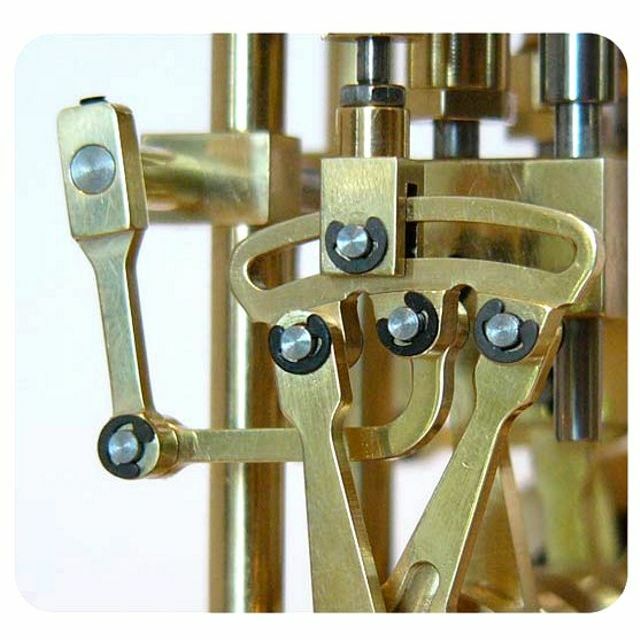 This gives a excellent and tight guidance to the cross-heads but also allows for easy access to the piston-rod glands for tightening up. 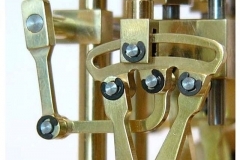 It was also possible to fit an oil-point to the cross-head for better lubrication. 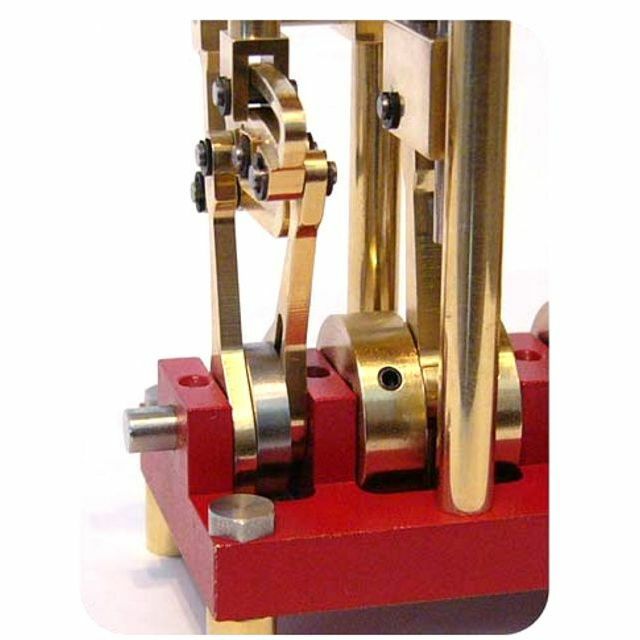 To avoid any problems while assembling and adjusting the Stephenson-Gear the two excentre-pairs are machined in one piece and the positions of the double- excentres on the crank-shaft are positively determined by flats milled on the shaft. 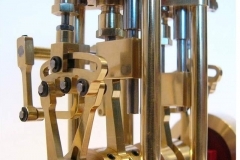 The many components of the reversing gear are not bolted together in the usual manner but are connected by precision ground stainless steel pins & C-clips. 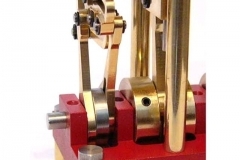 This prevents the reversing gear ever to be thrown of adjustment by any screws or nuts working lose. 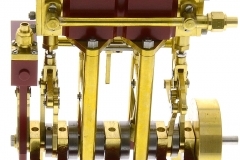 The high surface-quality of those pins also reduces wear significantly and contribute considerably to the engines durability. 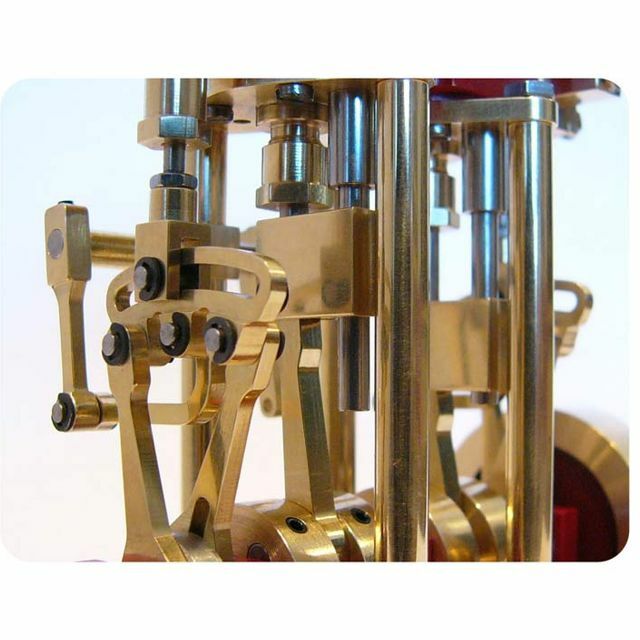 For the same reasons the all-steel crank-shaft is made from precision-ground stainless steel rods with steel-cranks and runs in five massive brass bearing blocks to distribute the loads widely and to reduce friction and wear. 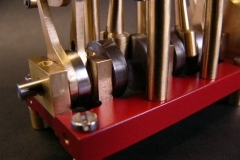 Piston- and valve-rods are made from from stainless-steel, excentres, cross-heads are machined from steel. 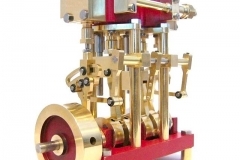 All other parts are machined from brass. 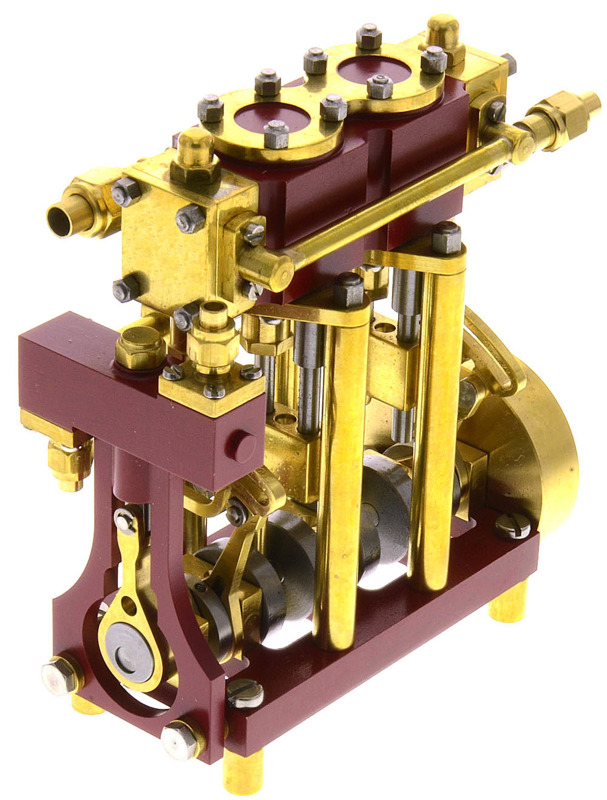 The CRISTAL presents a fein balance of beauty and classic looks, interesting and solid engineering paired with durability and robustness. 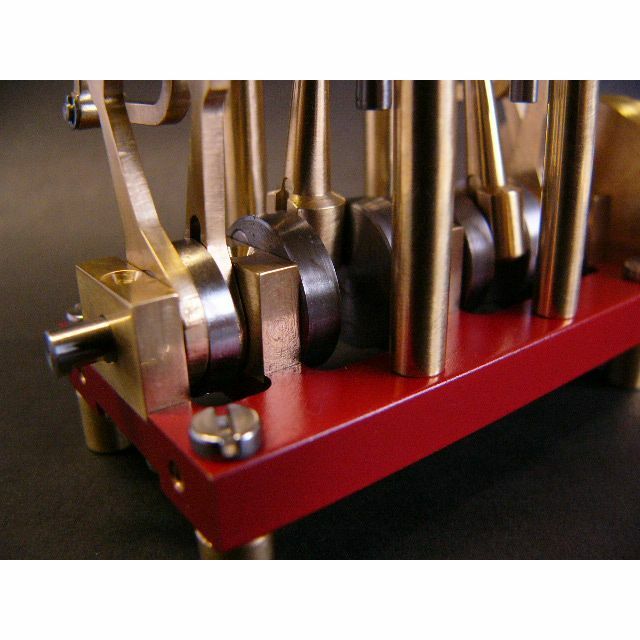 The finished Engine is delivered painted (red) and with polished brass parts. 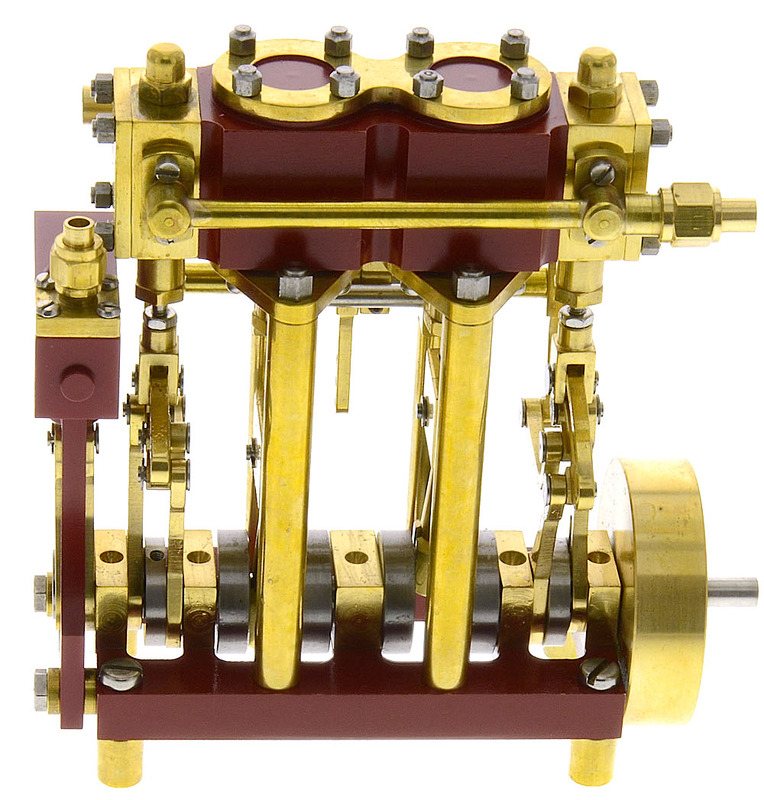 Displacement oiler and RC-steam-regulating-valve are included. 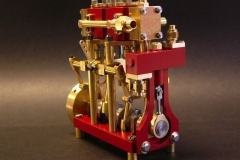 Step by step illustrated building-instructions (at the moment in german) make building the engine easy. 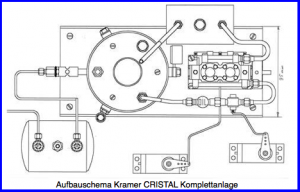 The engine CRISTAL can be equipped with an engine driven boiler feed-pump. 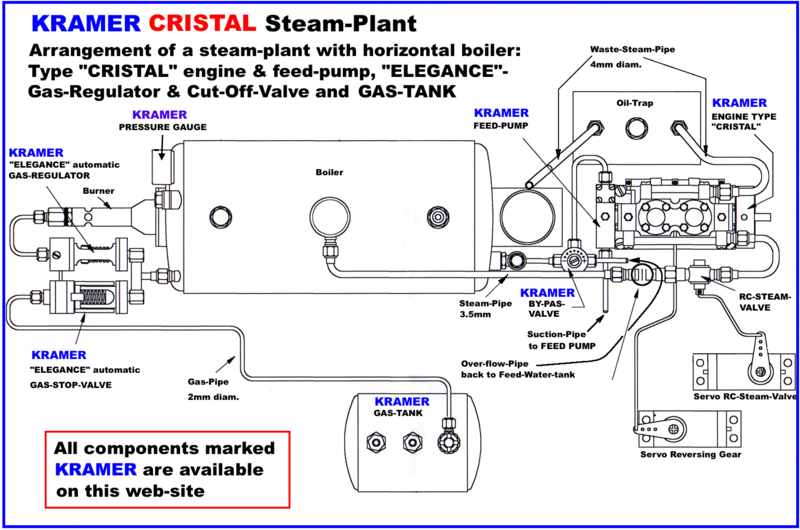 If desired we can built a complete steam-plant for you according to your requirements.